Narasimha Jayanthi is observed on Vaishaka Month (April or May). Narasimha Jayanthi is celebrated on the Saturday, 2nd May in 2015. Narasimha Jayanthi is celebrated on Vaishakha Shukla Chaturdashi (the 14th day during the waxing phase of the Moon) as per Telugu Calender. Lord Narasimha was the 4th incarnation of Lord Vishnu. Narasimha Jayanthi is the celebrated for the appearance (birth) of Lord Narasimha. Lord Narasimha appeared for the devote Prahlad to kill the Demon king Hiranyakashipu. Lord Narasimha is a combination of half lion and half man. On the auspicious day devotees will observe fast during the evening and broke next day after sunrise or when chaturdashi tithi completes. The fasting will be same as Ekadashi fasting. Special prayers and pooja will be offered in the Lod Vishnu Temples. Jaggery and gram sprouts are offered to the deity. 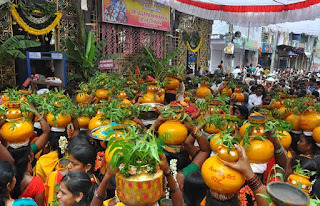 Devotees will chant the Lord Vishnu Stotras and Lord Narasimha Stotras. The Significance Of Narasimha Jayanthi is the gaining good over evil. To restore the Dharma by killing the demon Hiranyakashipu who did adharma by the proud of his boon. 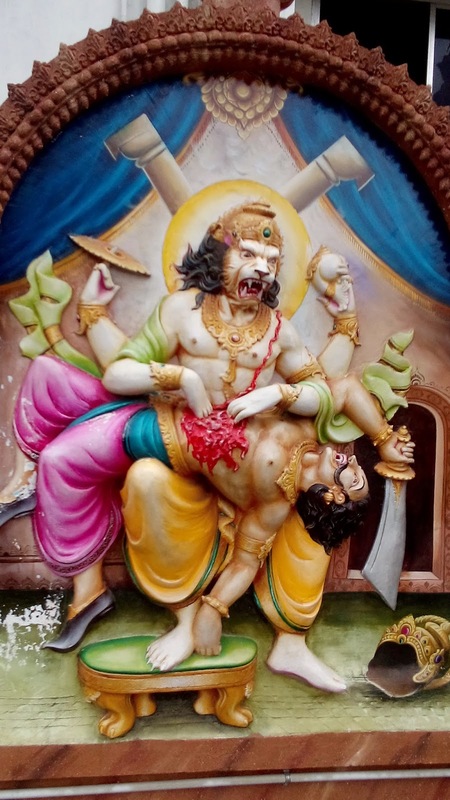 Lord Narasimha came out of a pillar at a sandya samyam (Between the day and night) and he placed him on the middle of doar base and killed him with his nails. Demon king Hiranyakashipu had a boon from Lord Brahma he wound not kill by the creation of Brahma, wound not kill in Day and night, wound not kill by any weapon and wound not kill on the Earth and Sky. Hiranyakashipu had a son named Prahlad he is the devotee of Lord Vishnu and his father Hiranyakashipu told not to pray lord Vishnu but Prahlad not listned. Hiranyakashipu decided to kill his son Prahlad and he tried many ways and that will not work every time lord Vishnu rescued Prahlad and he was alive. Hiranyakashipu got angry and asked Prahlad where is Lord Vishnu then he answered lord is every where, then Hiranyakashipu asked he is in the pillar prahlad answered yes after Prahlad prayed lord Vishnu and he appeared as Lord Narasimha (combination of half lion and half man) and after killing the Hiranyakashipu, Prahlad pleased the lord.